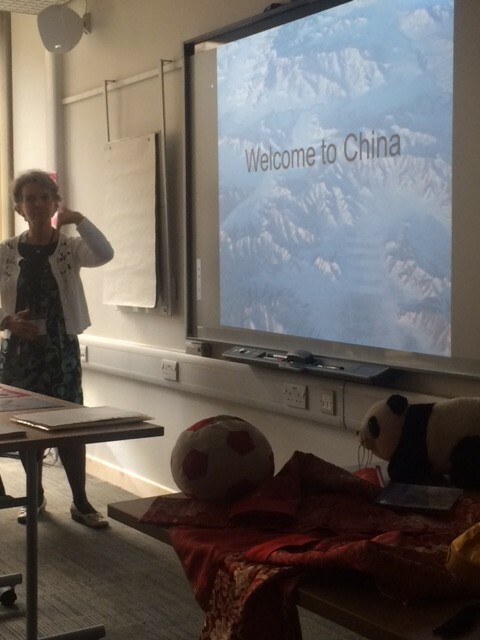 Meryl James shared some fabulous ideas of initial approaches to beginning Mandarin. She began with explaining that once you knew the numbers, you could say the months of the year and days of the week. 大 Dà meaning big, stand like 人 Rén and out-stretch your arms. 小 Xiǎo meaning small, stand feet together and arms by your side flapping a bit like a penguin. Meryl explained the tones by using a panda, in order for children to understand the rising and falling of the tone. Such as a panda sitting on a straight branch, going up a tree, halfway up and down a tree and going down a tree. There was a great display of colourful laminated numbers that SEN children had created with their own memory ‘hook’. Meryl also explained using high level vocabulary in English as part of her languages lessons, still considering the literacy skills the students will need to practice. It is wonderful resource that tells a story, slowly introducing new Mandarin words in characters, in a mixture of English and Mandarin. 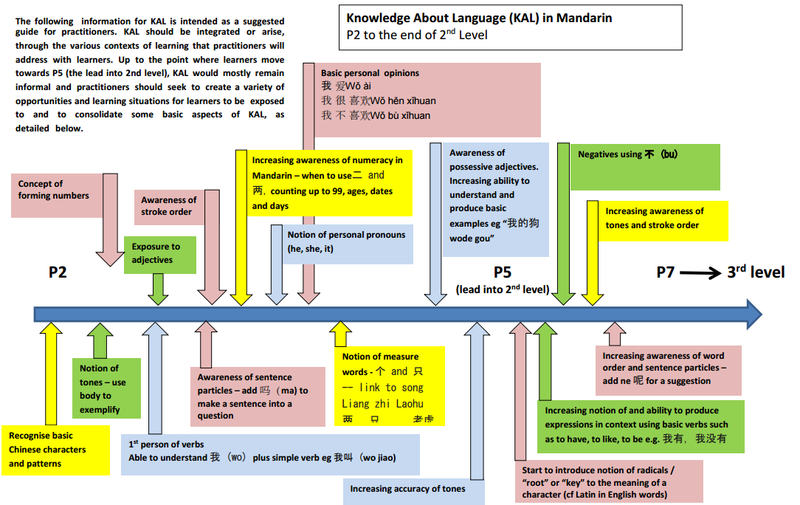 It will be easy for a teacher with no experience with Mandarin to use. It has a talking script that when you press on the lines and the words are read aloud for you. I would think of using this for an assembly and have the children act out the story. Each book also has teacher notes that gives great activities and ideas in your classroom. 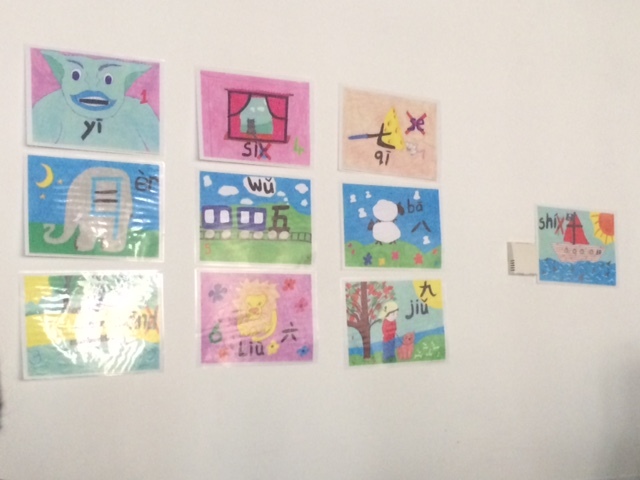 There are also activities and games to play to help the students learn the new words. 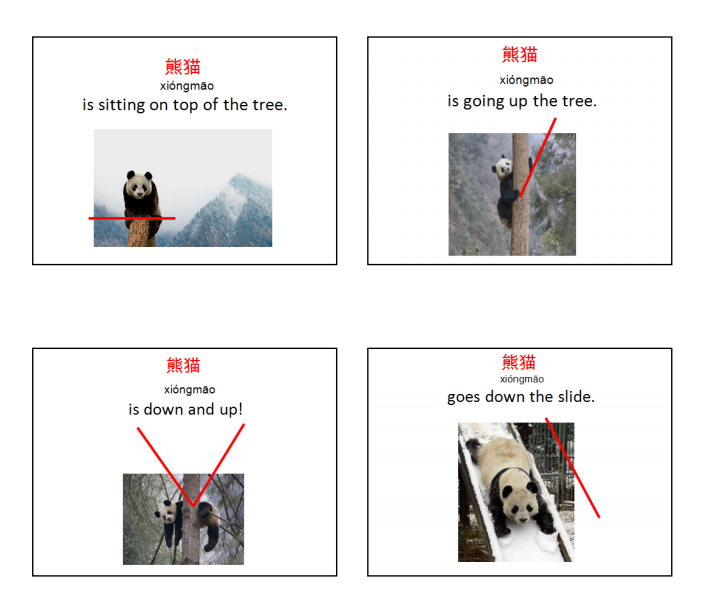 Such as drag and drop activities and the Mandarin characters explained. A truly inspiring session that made me feel that I am on the right path with the methods and activities and approach to teaching Mandarin.